Modern, warm wooden windows of Scandinavian type with maximum durability. Custom solutions for Your ideas and the standard of premium quality. Window of this type meets the highest requirements of Scandinavian market due to very good thermal insulation properties, durability, thick frame, Scandinavian design. This wooden windows system can be custom-made to provide very robust and easy opening windows. Raw materials used for production of the window have been duly certified. This windows system has been exported to Scandinavia since 2009. Glass units in the hinged window are installed inside the frames only – the glass pane cannot be taken out from the outside. In this case housebreaking is only possible by breaking the glass. Windows can be optionally fitted with safety, i.e. laminated glass panes. Windows can also be fitted with extra fittings eliminating any possibility for children to open the windows. We are ready to produce wooden windows of various shapes. Wooden window can be fitted with a glass unit made of two or three glass panes. 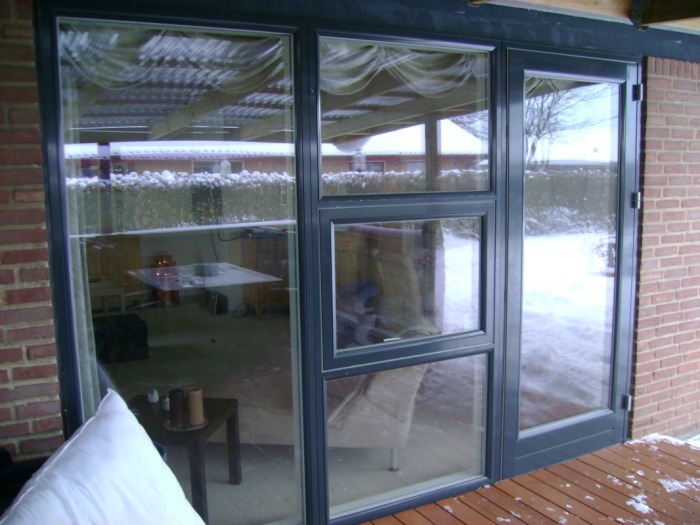 Glass unit is fitted into the wooden frame without resting against or any direct contact with aluminium, thus maintaining maximum thermal insulation. Ventilation is possible by setting the window to micro ventilation position. Air vents can be moulded into wooden window frame. Air vent can be fitted on the top of the glass unit as an option also. Hinge and handle colour is optional. PN Hardware (Denmark) hardware manufacturer has been certified under DS/EN 9001 and DS/EN 14001. Assa Abloy (Sweden). ISO 9001, ISO 14001 standards, Swedish technical approval 0130/00 and other certificates for product groups.